It had been a long time coming. 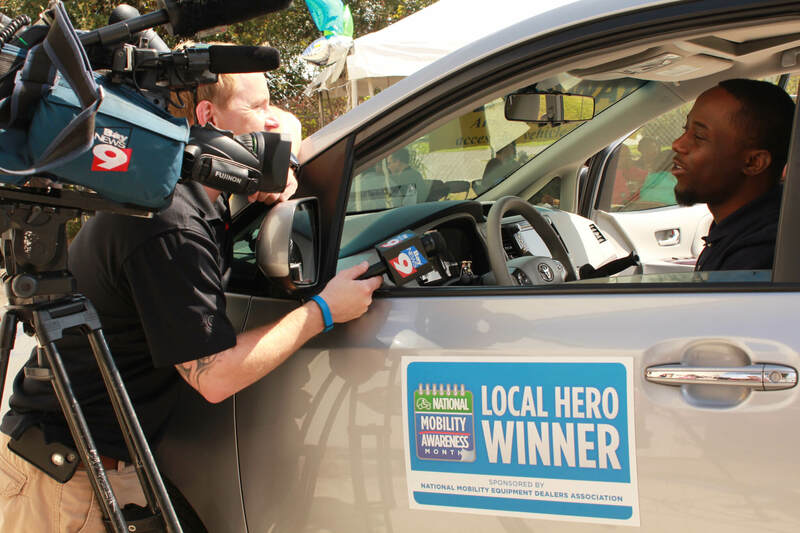 NMEDA, the National Medical Equipment Dealers Association, hosts their National Mobility Awareness Month Local Heroes contest each May. The winners, selected by vote from the public, receive a wheelchair-accessible vehicle of their own, free-of-charge. On Monday, Feb. 16, one of the 2014 winners had his life changed forever. Antonio Dowels is a law student in Miami, FL. The former athlete was in a car accident during high school that left him a quadriplegic. Through hard work and a tireless will, Antonio fought back and regained the use of his arms. He didn't stop there, pushing on through college and into law school. 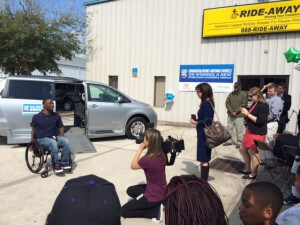 Antonio worked with Ride-Away in Tampa on getting his vehicle. The team there helped make the van a perfect fit for Antonio, who plans to use the vehicle to visit his family that lives 5 hours away from him when he is at school. "We deliver freedom," said Jim Scruggs, the general manager of Ride-Away Handicap Equipment Corporation. "We in a lot of cases are giving back their legs and arms, and in a lot of cases if we don't adapt the equipment, they are stuck at home." The Dowels family came with Antonio to receive the van and award with him. Local news was there as well to capture the culmination of Antonio's story. He had been on the same station during the contest's voting period. He credits his victory in part to the news station. "I want to thank you, Linda, for putting my story out there on ABC Action News, everyone who heard about me and who voted, who reached out through you guys and helped me out financially," he said. "I just want to thank you guys." You can find the news coverage of the story on ABC Action News' site here. NMEDA's 2015 Local Heroes Contest is scheduled to start taking entries in March and April.